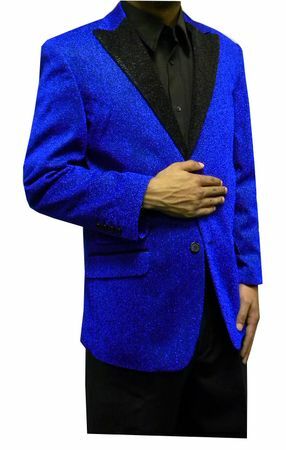 You'll make all the right moves on Stage when you're performing in this bold flashy looking blue glitter blazer. Featuring a classy 1 button style with side vents and made of a unique blue glitter fabric that is perfect for the stage. This head turning blue glitter blazer will have you looking like you belong in Vegas. Bow tie included.